PLEASE NOTE: Due to exceptional demand, this show has been upgraded to Academy 3! Original tickets remain valid, and all other details stay the same. 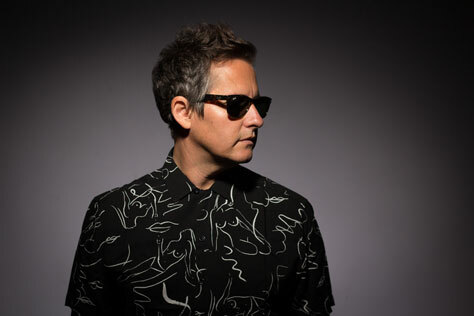 We’re delighted to be working with Josh Rouse for the first time – plus guests Field Division! Josh Rouse has confirmed dates for the EU/UK headlining tour in April 2018. On the ten-city run, Rouse will be performing with a full band. Rouse has long since solidified his status as a songwriter of the highest calibre over his eleven studio releases. Q called his acclaimed critical breakout album 1972 ‘the most intimate record of the year,’ Entertainment Weekly dubbed the follow-up album Nashville ‘persistently gorgeous’ and PopMatters called 2013’s The Happiness Waltz ‘a big contender for Rouse’s best work’. In 2014, he won a Goya Award (the Spanish equivalent of an Oscar) for best song for Do You Really Want To Be In Love, from the film La Gran Familia Española. Tour support comes from Field Division. Field Division is Evelyn Taylor and Nicholas Frampton. The American duo conjure up a cinematic blend of classic songwriting, inspired by the 1960s and 1970s folk rock pioneers, and transcendent modern dream pop. After releasing their debut EP, Reverie State in 2014, Field Division spent two years living on the road whilst recording their first full-length LP. The band is newly signed to Bella Union (home to Father John Misty, John Grant, Beach House, Flaming Lips, Explosions In The Sky, etc) who will release their debut album in 2018 (co-produced with Mckenzie Smith of Midlake/BNQT).